Pebbles is a co-host on the GetUp Crew morning show on HOT 96.9 Boston. Leroy Irvin is the producer of the show. Off the air, they have some pretty fun conversations about the things (there’s just not enough time to talk about on the air). Check out What’d I Miss to hear those conversations about everything from music and movies to relationships and ridiculousness. Join Kid Fury and Crissle for their weekly podcast covering hip-hop and pop culture's most trying stars. Throwing shade and spilling tea with a flippant and humorous attitude, no star is safe from Fury and Crissle unless their name is Beyoncé. (Or Blue Ivy.) As transplants to NYC, The Read also serves as an on-air therapy session for two friends trying to adjust to life and rats in the big city. 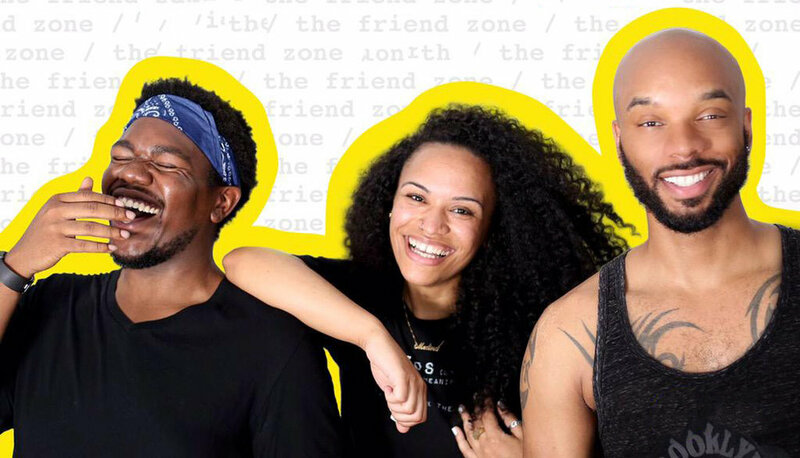 A podcast for long-distance besties everywhere. Co-hosted by BFFs Ann Friedman and Aminatou Sow. Listen along every Wednesday as Dustin Ross, HeyFranHey & Assante explore where pop culture and zen living meet. She Copes is a new podcast for women of color to grow, gain tips, and encourage each other.